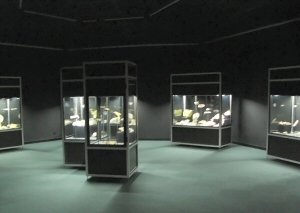 The exhibition center is situated on a beautifull peninsula in a natural park and it is really a beautifull place to visit before or after the visit. 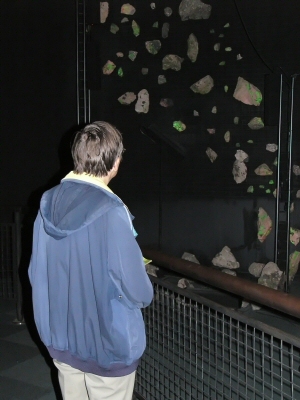 When the visitor enters the fluorescence section of the exhibition, he comes in front of a black wall where fixed cascades of fluorescent minerals (wernerite, sodalite, fluorite, calcite and willemite from Franklin, Sodalite, Opal, septaria ...) show a beautifull rainbow of colors. 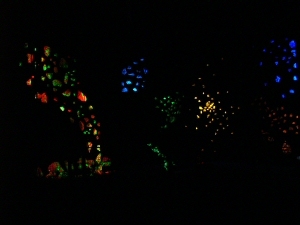 A timer is alternating daylight and black light to the delight of children ... and adults! 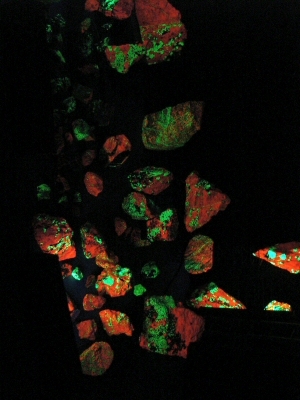 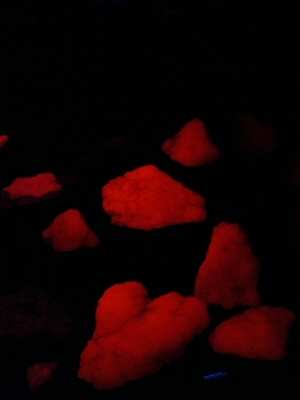 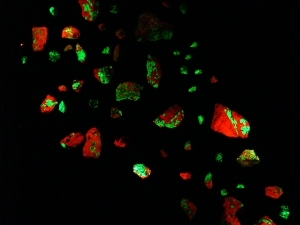 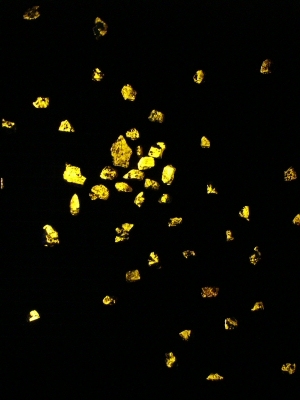 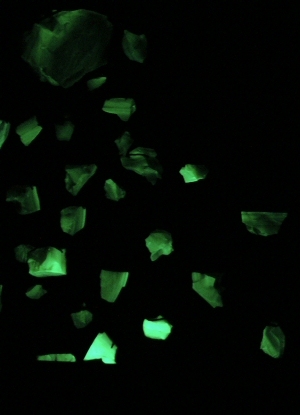 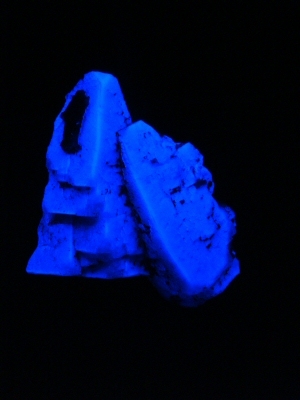 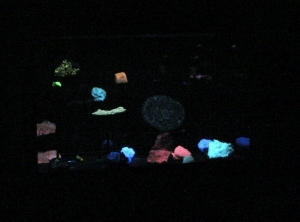 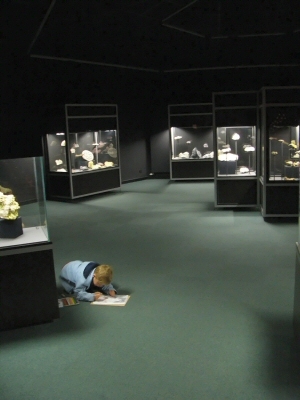 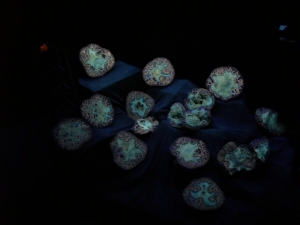 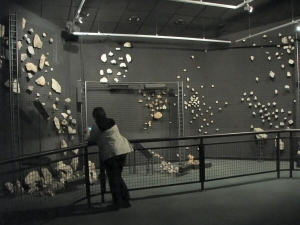 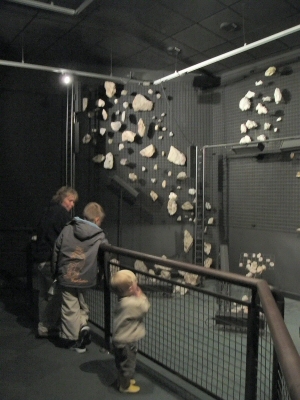 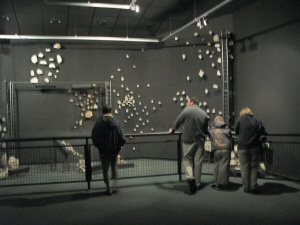 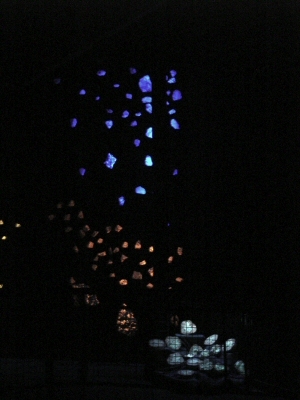 It is the only place where you can see the glow of shortwave minerals in the museum. 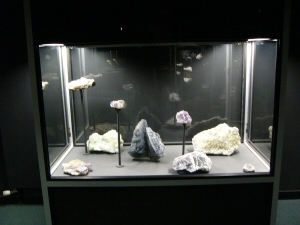 Above right, a "river" of calcite and willemite from Franklin, below from left to right: opal from Virgin Valley, wernerite from Canada and an assembly of Fluorite, Sodalite andseptaria.